Hazy skies and thick, smoky air aren’t just symptoms of the fire — they present their own dangers, even when wildfires themselves remain very far away. Poor air quality can have disastrous effects on people’s health. 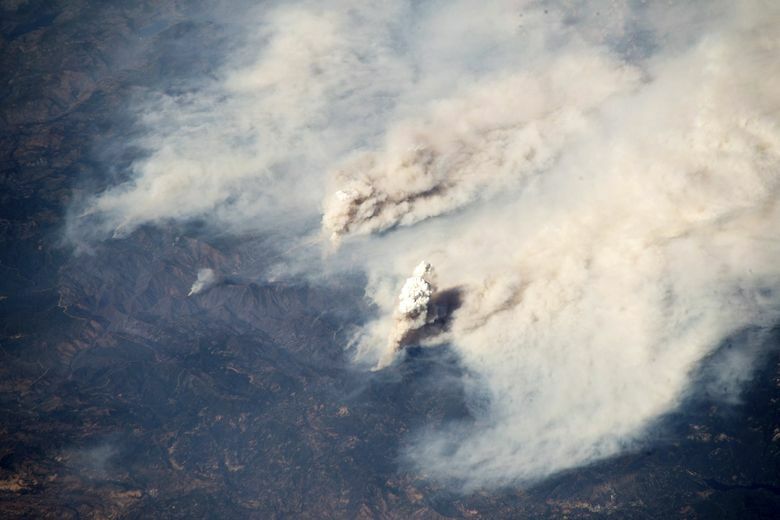 Billowing smoke from this year’s historic wildfire season in California has caused hazardous air conditions across the state, prompting air quality alerts and forcing many residents to take refuge indoors to avoid unhealthy exposure to bad air. Hazy skies and thick, smoky air aren’t just symptoms of the fire — they present their own dangers, even when wildfires themselves remain very far away. Poor air quality can have disastrous effects on people’s health: like coughing, sore throats, extreme wheezing among people with respiratory disease and cardiovascular illness. Prolonged exposure to bad air can even work its way into your lungs and blood stream. Conditions in the San Joaquin Valley are particularly bad because of the natural geography and weather patterns of the region, experts say, even though the state’s major fires are elsewhere. As smoke drifts into the valley, mountains and the climate trap the pollution, which then gets pushed toward the ground because of the heat. Currently the Ferguson Fire and the Mendocino Complex fires are dumping smoke into the region. “A good analogy is a clogged bathtub. You’re just putting more and more pollution into a limited space, and it’s getting more concentrated, more concentrated, more concentrated,” said Jamie Holt of the San Joaquin Valley Air Pollution Control District. It’s not just the inland San Joaquin Valley that is getting hit. An air quality advisory has also gone out for the Bay Area, which has been affected by smoke from the nearby Mendocino Complex Fire. A “spare the air” alert was even issued by the Bay Area Air Quality Management District — which oversees nine counties around the bay — asking people in the area to reduce their driving to minimize smog; those alerts are issued when air quality has reached levels that are potentially unhealthy. The Sacramento Valley has received less bad air than the San Joaquin Valley, but a “spare the air” advisory was released there as well. 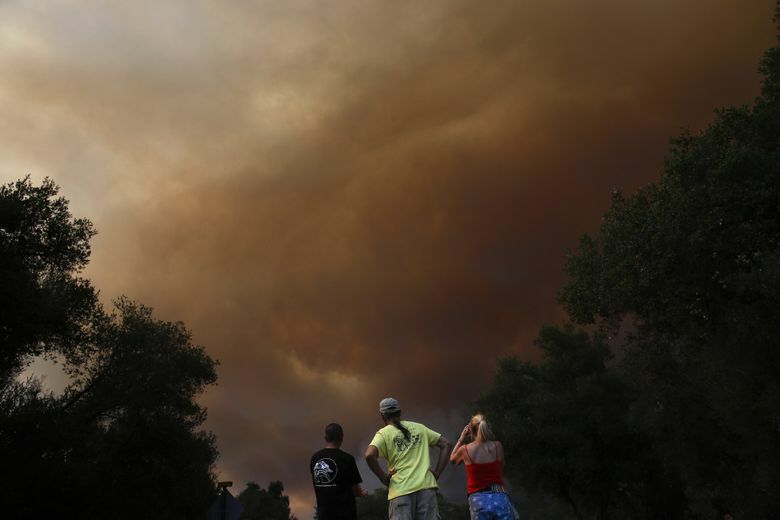 “It doesn’t really matter which way the wind blows because you’ll get smoke from some fire or another,” said Jamie Arno of the Sacramento Metropolitan Air Quality Management District. Experts are hopeful that smog and particulate matter will dissipate soon, carried off by wind and ocean breezes. But in the San Joaquin Valley, home to some 4 million people, it is difficult to know when the air quality will get better.